Fortunately, the mistake of washing natural stone with steam mop has solutions, if you made it only once or twice. First, we describe the effects and continue with easy methods for restoring organic beauty in natural stone. 2. initiate the oxidizing process, in contact with the metal particles found usually in the natural stone. In here, sealer coat is compromised, because moisture penetrated the surface, highlighting veins and stone cracks, otherwise invisible or less visible. Earlier, we discussed the sealing process. Of course professional sealing solutions are waterproof, but after a while, especially in contact with temperature and high steam pressure, sealer will be compromised. As consequence, stone gets dirty easier and is also harder to clean, although, as we were saying, it might seem pleasing in the beginning, after the first steam wash.
Water can penetrate sealer coat and stone color loses intensity. Sealer coat is like a transparent plastic film wrapped around an object. The plastic wrap reproduces exactly the color of object wrapped with it. When water penetrated the plastic wrap, separating it from the object, it will not look good anymore: color becomes honed and blurred. This is exactly what happens with the water infiltrating sealer when washed with steam mop: it modifies the stone appearance. 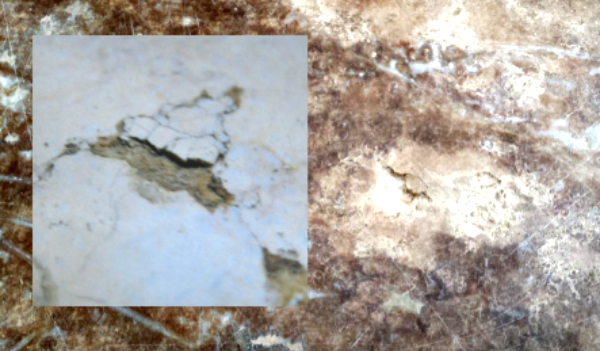 When penetrating the sealer and after modifying color of natural stone tiles, water continues its damaging process. 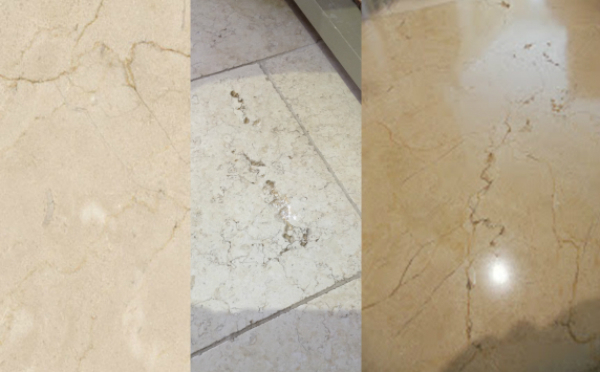 Keep in mind that this is happening only when washing natural stone with steam mop, otherwise and with proper aftercare, this material preserves its beauty for many years. The proof? Monuments from natural stone all over the world, in perfect condition for thousands of years. So, penetrating the sealing, water gets to iron particles. These particles are only visible when in contact with moisture, and then and only then, their presence is noticed. 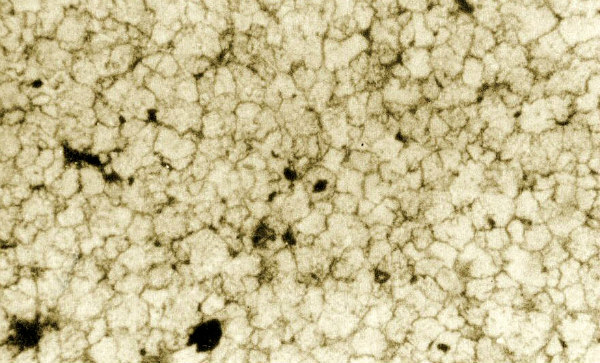 In contact with water, iron particles begin the oxidizing process and develops stains (colored red or orange). Apart from rust, there is also salt, produced by water. 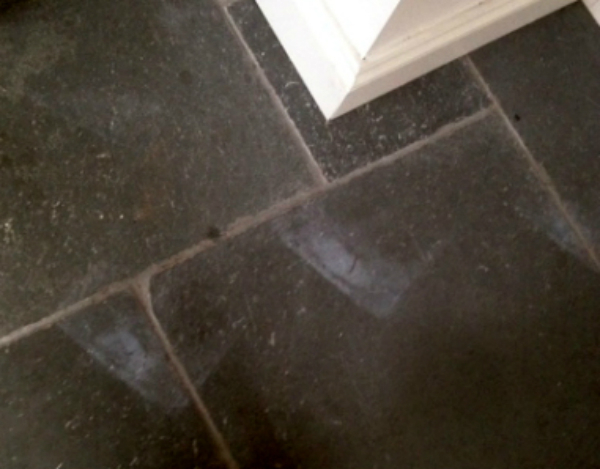 The result: tile surface gets dirty and it stains. Also, it might crack and peel, because of the suddenly activated particles, while increasing volume in contact with water. If you already washed your natural stone (flooring, walls etc.) with steam mop, here is what you could do. First, do not panic and follow the instructions, disposed in different categories. Severely damaged sealer. If sealer is compromised, clean surface with LTP Grimex. Allow surface to dry overnight. Then apply sealer LTP Mattstone or LTP Color Intensifier. 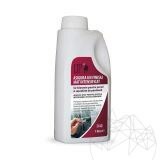 For routine aftercare, use LTP Waxwash, neutral pH cleaner, cleans without damaging the surfaces. Slightly damaged sealer. When sealer coat is slightly damaged, clean it with LTP Grimex or LTP Solvex. Allow surface to dry overnight. Then, apply a coat of LTP Ironwax Satin or LTP Iron Gloss. 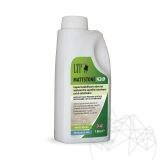 For routine aftercare use LTP Floorshine, cleaning solution, slightly coarse, for restoring sealer. It needs to be used after each floor rubbing during the cleaning process. Rust stains. Surface is fully cleaned with LTP Power Stripper. Allow surface to dry overnight. Then, apply a coat of LTP Mattstone or LTP Color Intensifier. For routine aftercare, use LTP Waxwash, neutral pH cleaner, cleans without damaging the surfaces and do not compromise sealing coat. Peeled surfaces. 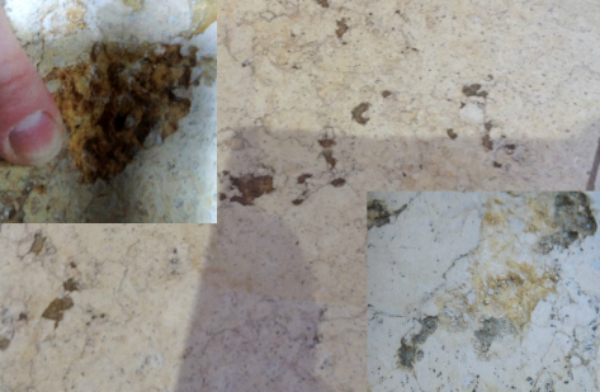 When stone surface is damaged with small pieces detaching from it, the stone should be fully cleaned with LTP Grimex. Allow surface to dry overnight. Then use a resin grout for filling the holes, making sure you match the colors. The stone is cleaned with a cleaning pad, or a slightly moist sponge for removing any trace of grime or dust. Allow it to dry. Then, apply a coat of sealer: LTP Mattstone or LTP Color Intensifier. For routine aftercare, use LTP Waxwash, neutral pH cleaner, cleans without damaging the surfaces and do not compromise sealing coat. 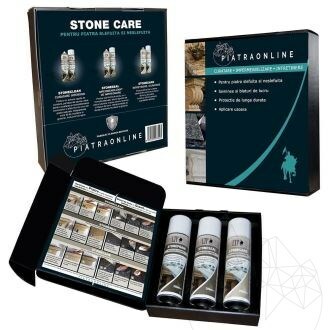 For any questions regarding natural stone and aftercare for natural stone, get in touch with us by email: export@piatraonline.com, phone +40318.222.333 or better visit our showroom from 137 A Aleea Teisani, District 1, Bucharest. In here, you will discover why PIATRAONLINE is generating inspiration.